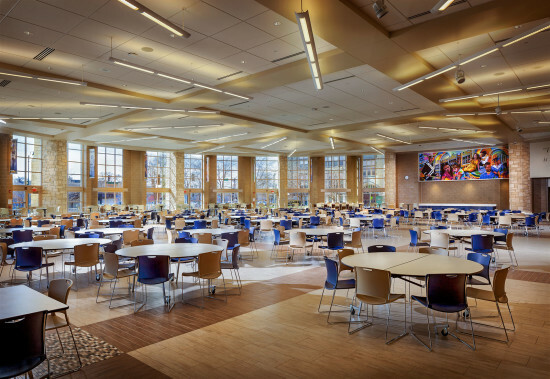 Darien, Illinois-based Wight & Company has recently finished a 43,000-square-foot addition for Joliet Township High School campus. 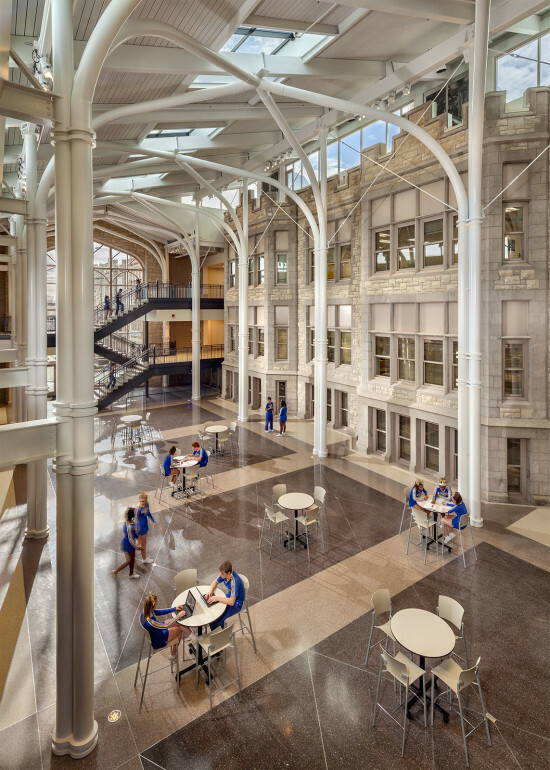 Joliet, a city about 40 miles southwest of Chicago, is the fourth largest city in Illinois, and the town’s high school campus was in need of updates and space. Wight’s design added an expansive student center, a dining facility, multi-purpose areas, and an elevator to improve ADA accessibility to the four story building. The campus as a whole is comprised of four main academic buildings, which serve approximately 2,600 student. 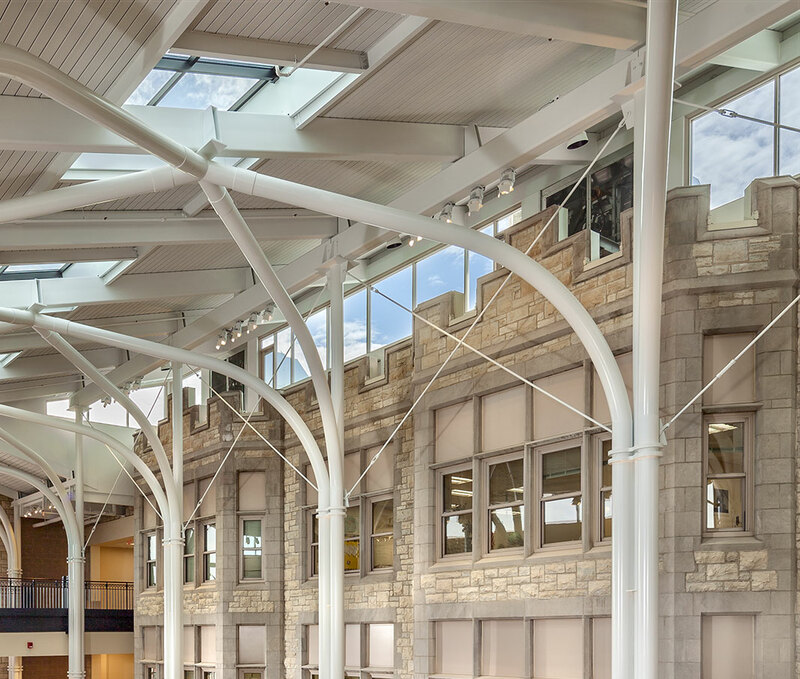 The most distinguishing portion of the new design is a 50-foot-tall glass curtain wall atrium, which now encapsulates a 1901 gothic-revival facade. The space houses the schools new main entry and provides students with a place to work, congregate, and access student services. Wight acted as designers, Architect of Record, structural engineers, MEP engineers, interior designers, and landscape architects on the project.